Mario’s personal journey to find a way to blend his passion for the work he does with his passion to be an actively involved father and spouse led him to the ThirdPath community, and he has been a member of the ThirdPath ILA Advisory Board since 2005. Mario is an experienced executive coach and organizational consultant in private practice. He works with business owners, executives, managers and individual contributors in small to large enterprises that want to improve their effectiveness, enhance their leadership, adapt to a changing environment. He also leads workshops on leadership, life-work balance and dialogue in the workplace and teaches at both the Wharton School and St. Joseph’s University. 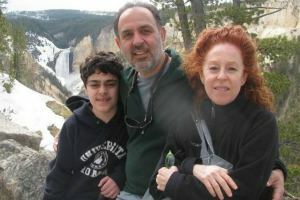 Prior to coaching, Mario was himself a business leader and held positions from individual contributor to executive over his 23-year “corporate career.” Mario and his spouse are the proud parents of an energetic and intelligent teen, and they have shared in his care since he started school. In addition to his work on the ThirdPath ILA Advisory Board, Mario has facilitated discussions for ThirdPath’s Leadership Summit supporting progressive law partners interested in living more integrated lives and designing more supportive workplaces.